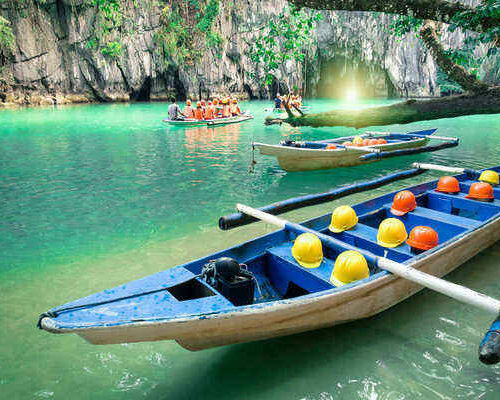 Combine the culture and history of Manila and Luzon with the island beauty and raw nature of Palawan in this 16 day itinerary. Your first week will be busy as you’ll see one of the smallest volcanoes in the world, ancient rice terraces, colorful cliff-mounted coffins, and more. 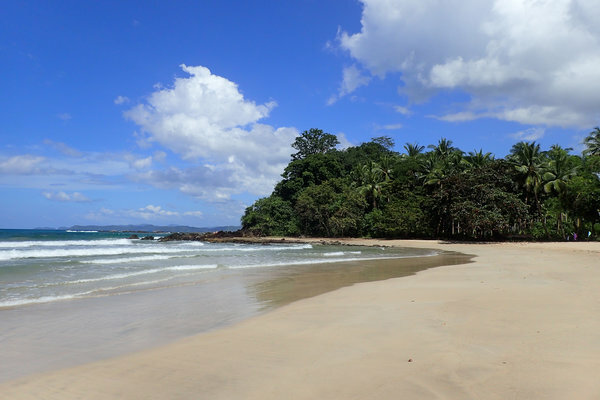 There’s a great deal of trekking involved so bring sturdy shoes! 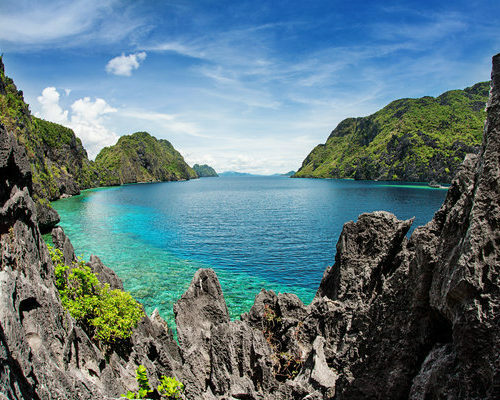 Once you’ve had your fill of culture and hill-walks, fly to Palawan for some serious beach time. This itinerary is meant to inspire you as we customize every trip we create. 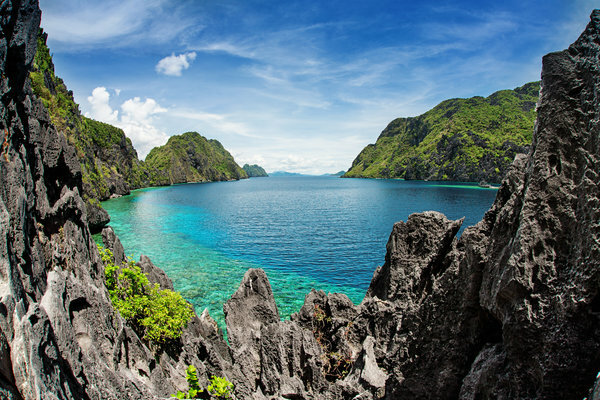 Email our Philippines expert at philippines@fleewinter.com or even better, give her a ring at (UK) 020 7112 0019 to begin planning your tailor made holiday. 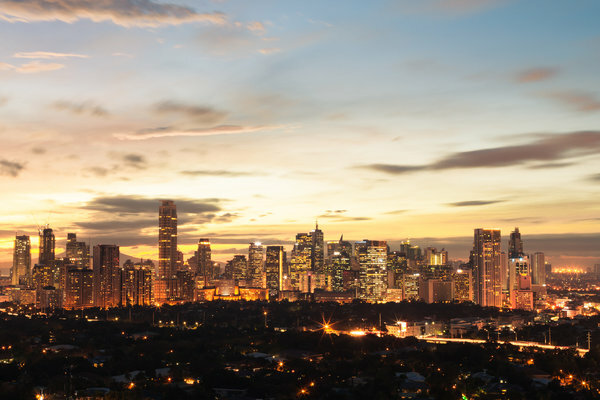 This afternoon your overnight flight arrives in Manila, an energetic city with a historic heart. Your private driver will greet you at Nino Aquino Manila International Airport and transport you to your comfortable accommodation. We’ve not planned anything for this afternoon to allow you to recover from your flight, so relax or head out for a wander. Today you will tour the walled city of Intramuros on bamboo bicycles. Your guide will explain the history of the walled city as you cycle leisurely along on a hand-made bicycle. 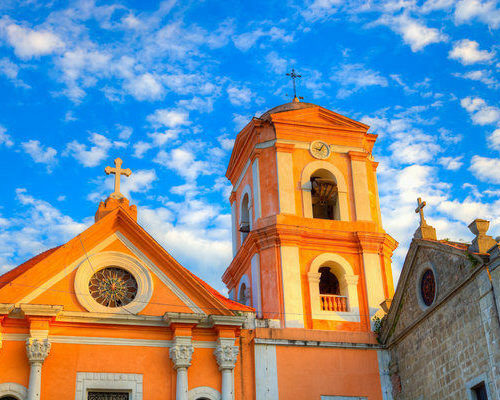 See the UNESCO-designated Saint Augustin Church, Fort Santiago, and other historic buildings. Exploring by bicycle allows you to see more of this historical area and absorb the sights and sounds of what was once the heart of Manila. 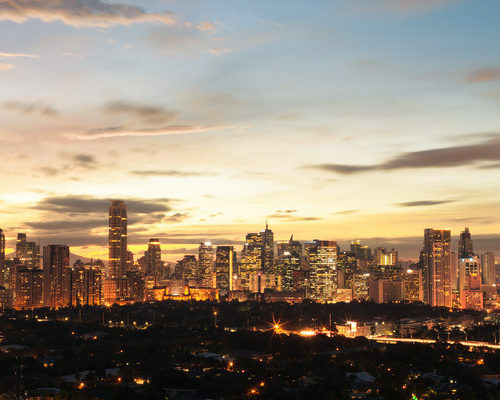 The tour including time to reach Intramuros and return to your hotel takes approximately 4 hours. You may wish to have lunch in the old city, and the remainder of the day is at your leisure. 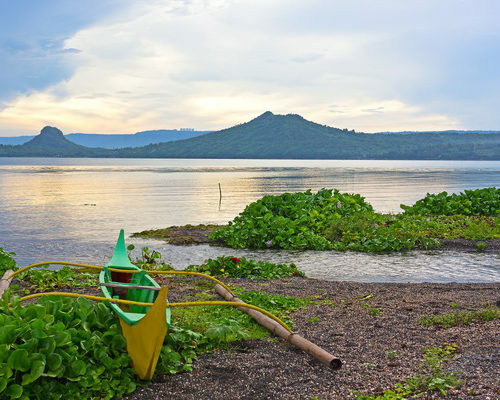 Your guide and driver will collect you this morning for a trip down to the Taal Volcano. To reach the rim of the crater you’ll first cross a lake by outrigger boat then walk or ride a horse up the soft sand where you can peer into the caldera. 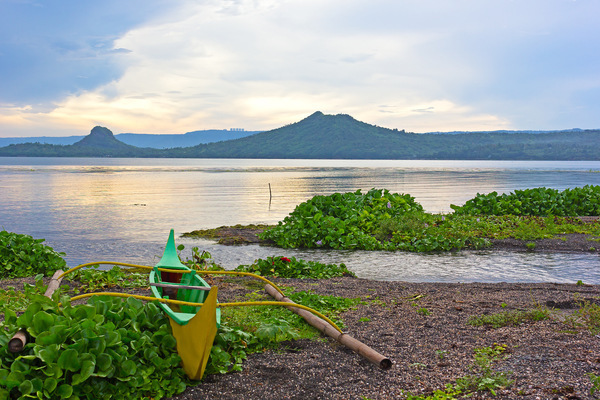 From there you’ll pay a visit to the heritage town of Taal with its beautiful heritage houses. Return to Manila for the night. 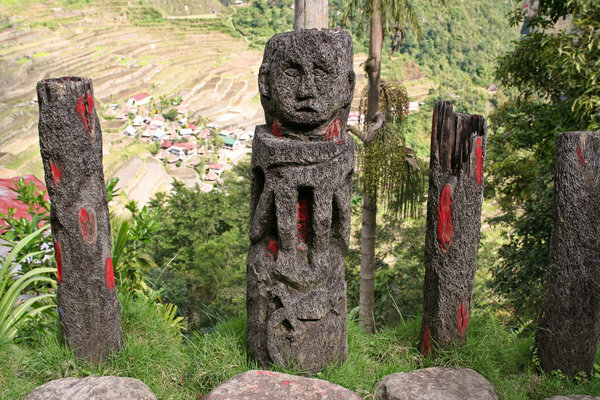 Rise early to beat the Manila traffic and head north to Banaue. 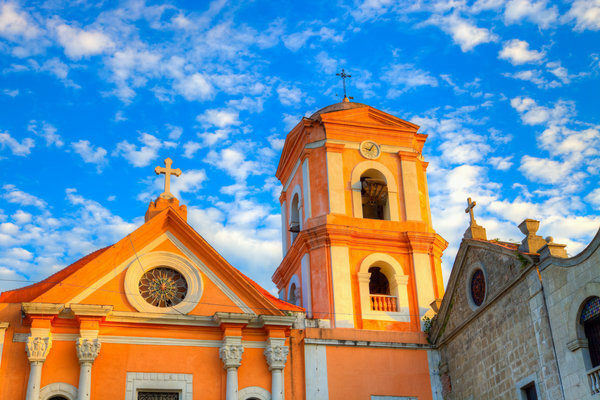 As you venture into the Cordillera Mountains you’ll stop at historic monuments and view points along the way. This will be a long day on the road but the views as you rise into the mountains are nothing short of stunning. 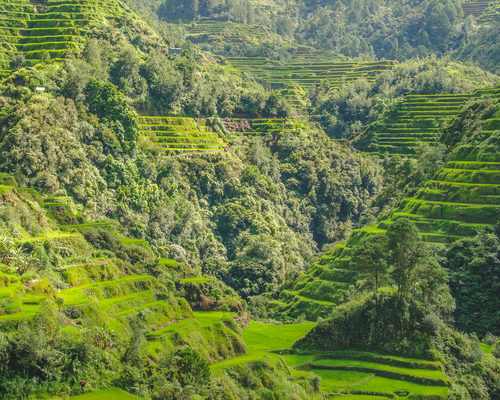 Your guide today will take you out in a private jeepney to the stunning rice terraces of Batad. Visit the farming community of Banga-an to see the traditional Ifugao homes before beginning the walk to the rice terraces. These 2,000-year-old terraces are fed by an irrigation system just as old. If you’re up for more, your guide can lead you to a waterfall before you return to your jeepney and the ride back to Banaue. Your private driver and guide will take you through more mountains to Sagada today. 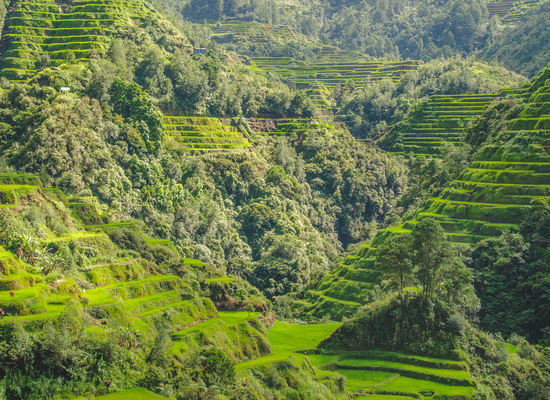 On the way you’ll have stunning views of the rice terraces. 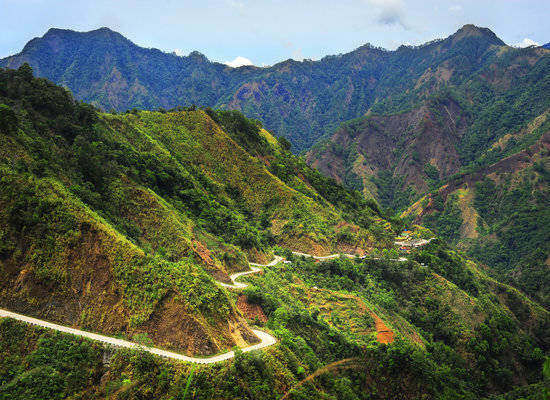 You’ll reach Sagada in the early afternoon and have time to wander the quiet streets of this mountain town. 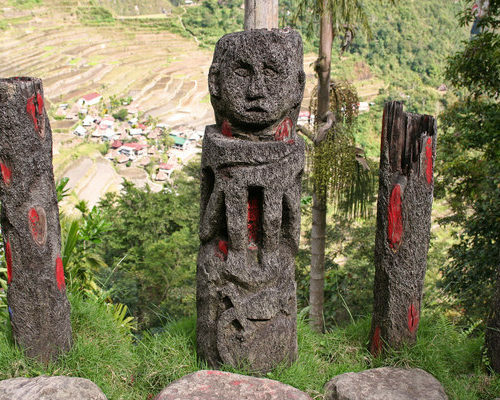 Sagada and other Igorot towns resisted the 16th century Spanish conquest of the Philippines. 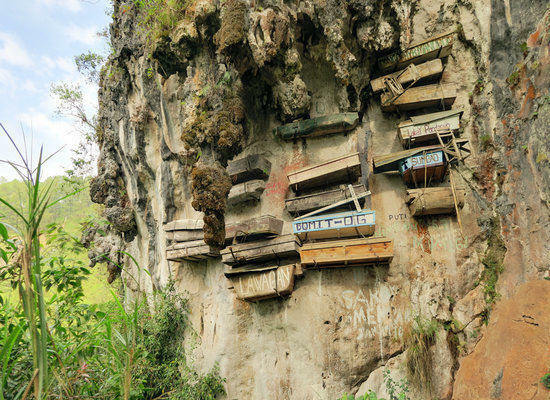 Traditional culture survived the centuries including the unique burial practices of hanging coffins. 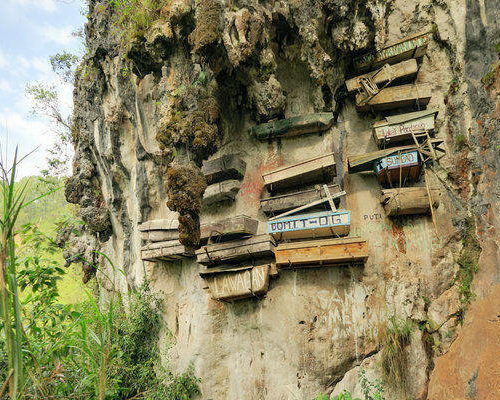 Your guide today will take you to see some of these and the Lumiang Burial Cave where more than 100 coffins are stacked in the entrance. If you want to continue your exploration, your guide can arrange a spelunking adventure into Sumaguing Cave. 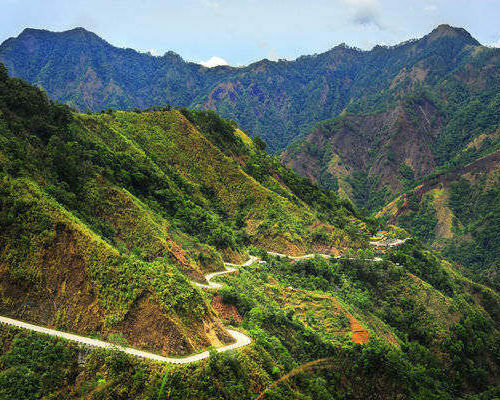 Your driver will take you on a scenic drive this morning through the Cordillera to the Chico River. 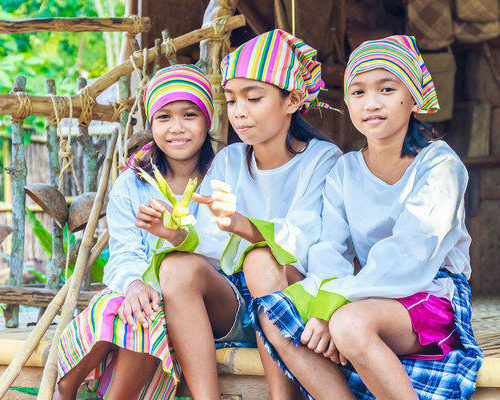 Walk to the village of Bugnay for lunch then head to the weaving community of Lubuangan. 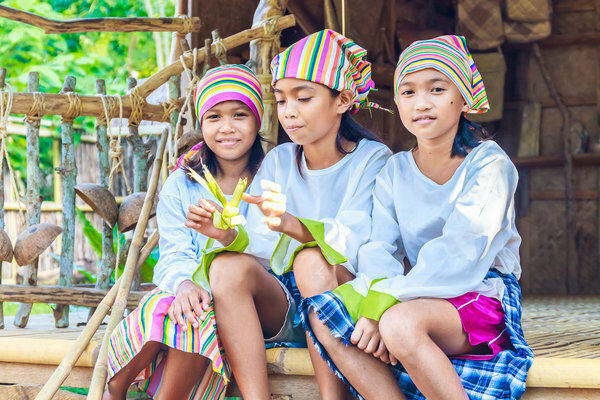 You’ll trek a bit to reach the women who pass down the weaving traditions of Kalinga. This morning you’ll have one more scenic drive, this time to the airport. Fly to Puerto Princesa, Palawan via Manila. Once you arrive, you’ll be collected at the airport and transferred to your seaside accommodation. 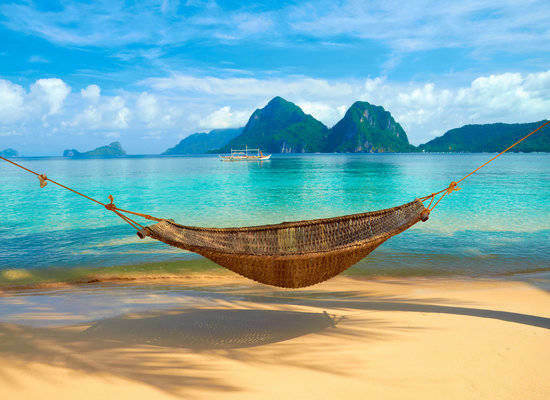 Your final destination will be the relaxing beaches of El Nido. It’s a long drive north but once there, you’ll have the remainder of your holiday free to relax. We haven’t planned anything for you but consider a day of island hopping, diving, snorkeling, or venturing inland to a waterfall. Perhaps use these final days to begin plotting your return! You’ll be collected this morning and transferred to the airport in El Nido for a flight to Manila. From there, connect to your international flight home. Safe travels! 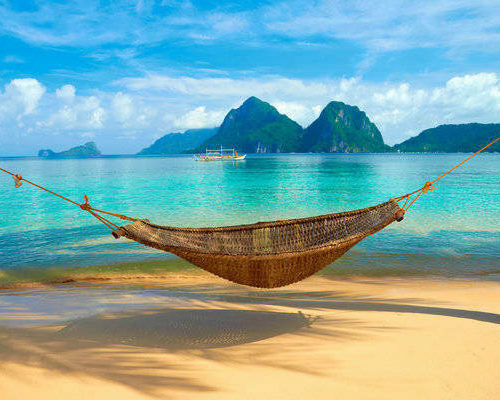 This itinerary costs from £2225 per person B&B and is based on two people sharing during the high season (Nov-May) excluding the Christmas and New Year, Chinese New Year, Easter, and other holiday periods. The price includes all private transfers and domestic travel but not international flights. International flights tend to cost between £400 and £800 per person return – do ask us for advice. 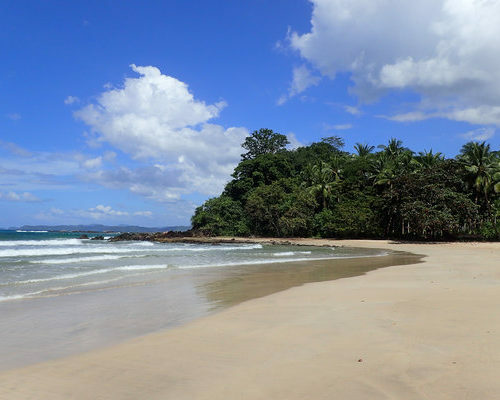 Alternatively we can book the flights for you but a booking fee may apply. All prices correct at the time of writing. Give us a call at 020 7112 0019 or email philippines@fleewinter.com to discuss your requirements and get a confirmed price.